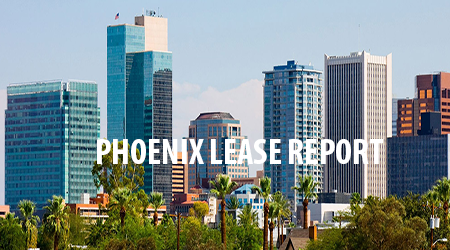 The following commercial leases were reported to the Real Estate Daily News for the Phoenix Lease Report from Aug 21 thru 25, 2017. NAI Horizon has negotiated a long-term lease worth $1.479 million for Biscuits Café at Terrazza Center, 24874 N. 67th Ave. in Peoria, Arizona. The NAI retail properties team of Senior Vice Presidents Shelby Tworek, Chris Gerow and Gabe Ortega and Associate Patrick Anthon represented the tenant, Biscuits Café, Inc. of Portland, Oregon. “Being so close to Christ’s Church of the Valley, the owners felt it would provide excellent exposure for their concept, in a very underserved area of the Valley,” Gerow said. Biscuits Café is in four states and now five Arizona cities: Peoria, Chandler, San Tan Valley, Surprise, and Glendale. Owners Ed and Barbara Preston have been in the restaurant business since 1968. Biscuits Café will take 4,300-square-feet at Terrazza Center. The landlord is N&I Development, LLC of Newport Beach, California. A lease for 1,800-square-feet to Barre3 was recently consummated. The location of the property is SEC Gilbert Rd. & Ocotillo Rd. The owner of the center is Klusman Family Holdings, LLC. Jake Ertle and Kevin Roessler of Rein & Grossoehme represented the Tenant. A lease for 990-square-feet in Thunderbird Plaza Shopping Center to GK’s Vapor Pub, LLC was recently consummated. 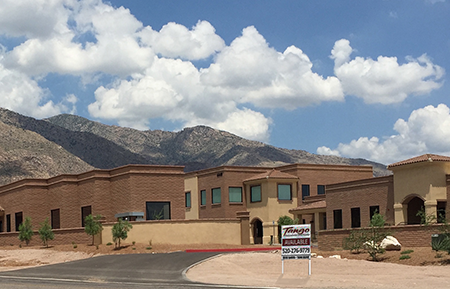 The location of the property is 7558 W. Thunderbird Rd. in Peoria, AZ. GK’s Vapor Pub has 2 other locations. Jim Edwards of Rein & Grossoehme represented the tenant. Erin Schrauth of Strategic Retail Group represented the landlord. A lease for 640-square-feet to Beauty Zone was recently consummated. The location of the property is 1430 N. Central Ave. in Avondale, AZ. The owner of the center is Sewa Dhanjal. Kevin Roessler of Rein & Grossoehme represented the Landlord and Tenant.